Fr Dionysius Mintoff, founder of the John XXIII Peace Laboratory, has been nomiated for the Felix Houphouet-Boigny-Unesco Peace Prize 2019. The nomination was submitted by the Foriegn Affairs Minister. 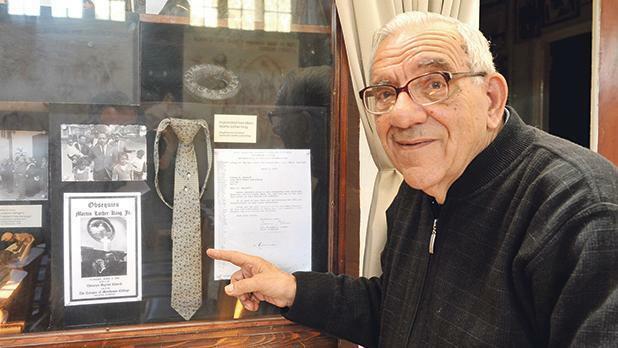 Through the John XXIII Peace Lab, established in 1971, Fr Mintoff has made a significant contribution in promoting, safeguarding and maintaining peace. The Peace Lab was set up following an appeal by Pope John XXIII calling for the world to reflect on peace in his 1963 Encyclical on establishing Universal Peace in Truth, Justice, Charity and Liberty, Fr. Mintoff sought to give life to his dream of an open and unrestricted space where people of all backgrounds and attitudes could mix together. Created in 1990, the Felix Houphouet-Boigny-Unesco Peace Prize aims at honouring living individuals and active public or private bodies or institutions that have made a significant contribution to promoting, seeking, safeguarding or maintaining peace in conformity with the Charter of the United Nations and the Constitution of Unesco. A call for nominations was issued by Unesco to member states and is awarded every two years selected by the director general of Unesco based on assessments and recommendations made by a high-level international jury. The Felix Houphouet-Boigny-Unesco Peace Prize is sponsored by Abdou Diouf, former President of Senegal and the patron of the prize is Konan Bédié, former president of Côte D’Ivoire, who were both appointed intuit personae by President Félix Houphouët-Boigny before his death.